Southbound 17 is a harmony driven country band out of Charleston, SC. The trio began August of 2014 after playing an open mic night at a local bar. Since then, they have become an exciting part of the Low-country’s flourishing music scene. 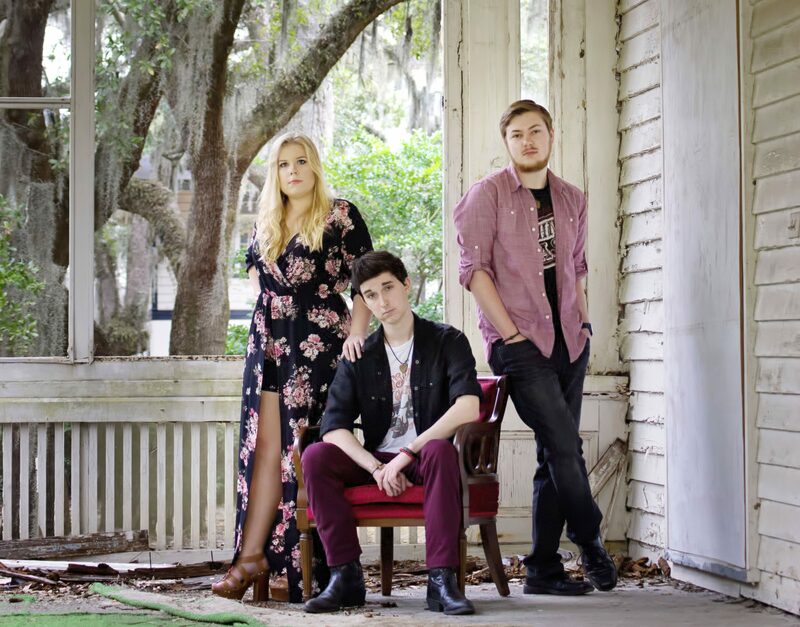 The members include Charleston natives Jack Austen, Katie Bailey, & Jacob Simmons. With the trend in modern country music leaning towards heavy production, Southbound 17 takes a stripped back approach that highlights the songwriting. Acoustic guitar, banjo, and mandolin are layered with visually compelling lyrics and tight harmonies to create a fresh country sound. They have opened for Nashville recording acts including Brandy Clark, Walker McGuire, & Mickey Guyton. The band’s self-titled debut EP is now available on iTunes, Apple Music, & Spotify. Whether playing gigs around Charleston or Nashville, Southbound 17 delivers modern country music with an Americana edge.